What joy and excitement await you as you delve into the Word of God and help others to discover its life-changing truths. Now you can take, and/or facilitate (for example in small groups), Bible study lessons from your computer, your iPad, smartphone or any other mobile device – all you need is Internet access. An electronic, downloadable, copy of the Bible (KJV) is included for use in reviewing the Scriptures referenced in each lesson. This presents numerous possibilities to conduct Bible study and evangelism outreach. Some of the lessons include video presentations from Pastor Mark Finley on the topic of the lesson, plus his lecture notes. What a tremendous resource and blessing to you as a Bible student, instructor or as a Christian seeking a deeper understanding of God’s Word! 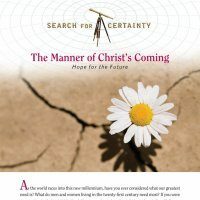 The Search for Certainty-1 Bible study course is the first in the “Search for Certainty” three-course series, which explores the teachings of the Bible in an easy-to-follow question and answer format. 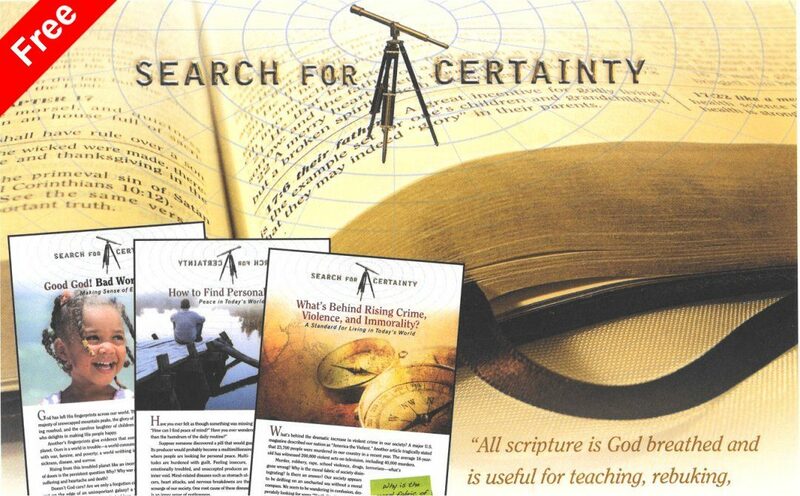 There are 30-lessons/Bible studies covered in the series, which can be used with nearly any version of the Bible. 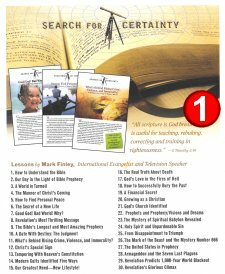 Over three (3) hours of insightful and inspirational video presentations from Pastor Mark Finley, plus some of his sermon notes, are included with this course. HopeLives365 Online University is the only place on the Internet where you will find Pastor Mark Finley’s computer-graded Bible study lessons, which help you learn: how to understand the Bible; how to make sense of our world; how the days we live in relate to Bible prophecy; what will happen at the Second Coming of Christ; how to find personal peace; the role of the Unites States in prophecy; what will happen to the effort to unite European countries; how to identify a cult; what happens when a person dies; how to grow as a Christian; what will heaven be like; and much more. After completing the final course in the series, you will be awarded a beautiful, personalized, digital Certificate of Completion to share your achievement with friends and family. NOTE: A student must complete an online assessment for each lesson prior to completing the course. A score of 70% or higher is required to pass the lesson. If you score less than 70% in a lesson, you must redo the lesson and resubmit for grading. There is no cost to redo the lesson, and you are given two chances for redo – for a total of three (3) submissions. There is not a pause/resume feature in a quiz. Once you have started a quiz, you must complete it. An incomplete quiz will be counted as an attempt. Failure to get a passing score on the third submission will result in no credit towards certification. Dive into the Bible and emerge spiritually refreshed! Are there directions to guide us confidently through the twenty-first century? 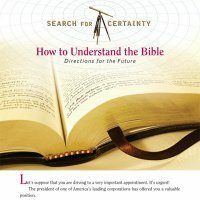 This lesson helps you to understand how the Bible provides clear information. 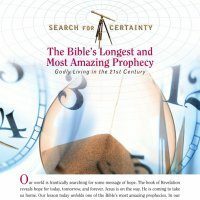 Throughout history the Bible has proven its accuracy in predicting the future. This lesson is an outline of world history from Daniel’s time to our time today. 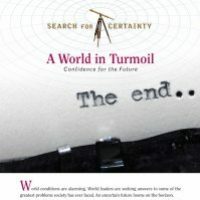 World conditions are alarming. World leaders are seeking answers to some of the greatest problems society has ever faced. “What do these things mean?” This lesson helps you find the Bible answers. All over the world people are desperately looking for hope. This lesson explores the best hope of all found in the Bible—the hope of our Lord’s return. 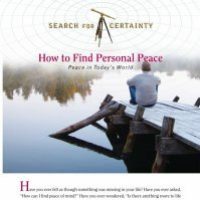 Everywhere people are looking for personal peace. Multitudes are burdened with guilt. This lesson focuses on God’s solution to the problem of guilt. 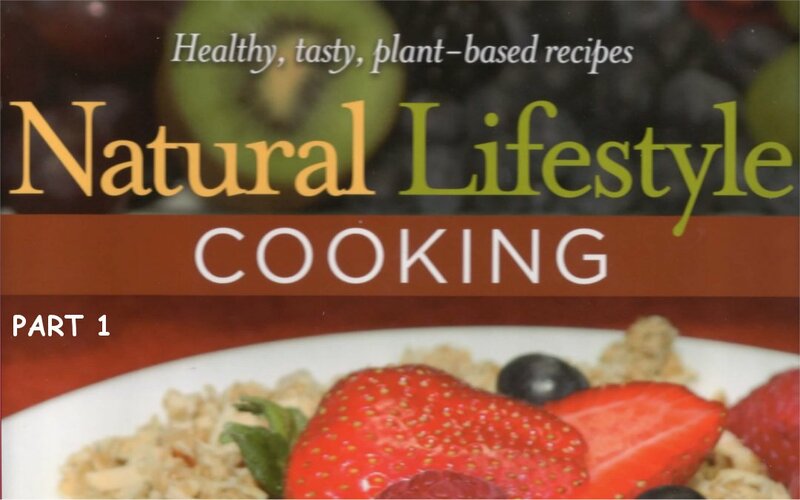 It presents the only real answer to the problem of how to find peace of mind. Have you ever wondered how you can become the person you really want to be? God’s grace provides power for living. 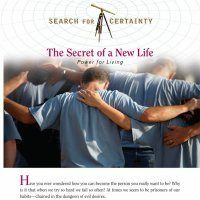 In this lesson you will discover the real secret of power for living in the twenty-first century. 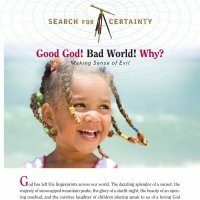 This lesson will provide a clear answer to who is responsible for this world’s suffering. It will also reveal God’s ultimate solution to the problem of why innocent people suffer. 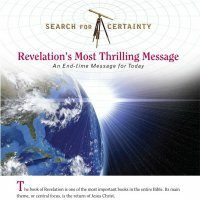 Before Christ’s return, He sends a special message to prepare a people for His coming. 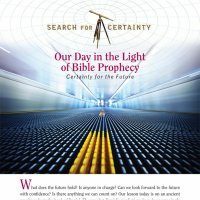 This lesson reviews that message, recorded in Revelation 14, in great detail. Revelation reveals that the hour of God’s judgment has come. 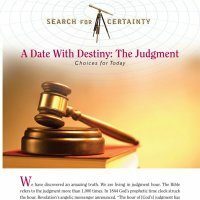 In this lesson you will study where this judgment takes place and when it began. God’s matchless love is revealed in the judgment. All of heaven pauses to consider the choices each individual has made…. This lesson unfolds the importance of our choices in the twenty-first century.